If a Tree Falls in Your Apartment, Can You Hear Your Music? Some people take the “nature” trend a little too far when they’re decorating their homes. 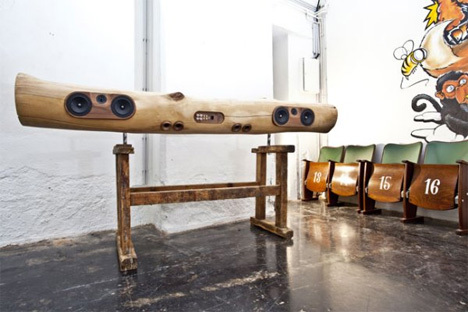 This iPod dock is made of the entire trunk of a real tree, putting a little bit of nature right there in your living room. The iTree contains speakers and a charging station for your iPhone/iPod so that you can fill your home with music as you make the forest shed a little tear. 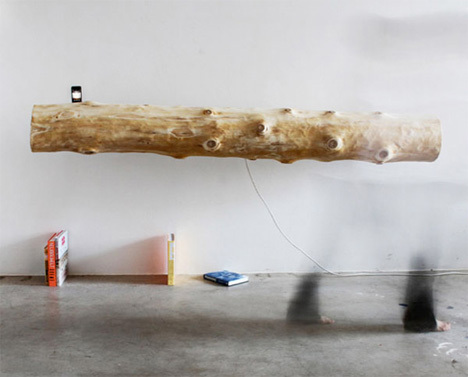 Every iTree is unique, so even if one of your friends decided to pony up the 11,000 Euros (over $14,000) just like you, you would still have a totally one-of-a-kind masterpiece to boast about. They’re hand-made by KMKG Studio and can be used as makeshift battering rams in an emergency…probably. See more in Audio & TV or under Gadgets. October, 2011.